Lux Appliance provides appliance repair for residential customers and for coin-operated appliances in the New Braunfels, Texas, area. Give us a call at (830) 625-2358, and we will get to you for a same-day or next-day appointment. 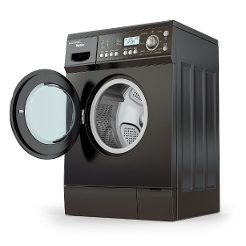 All factory-authorized appliance services are performed right in your home, making us your doorstep repair shop! Choose us for your appliance repair needs because we have been in business for more than 30 years serving Comal and New Braunfels counties. For the first service call, all trucks are supplied with every part we need to provide appliance repairs. If a particular part is needed but not available, or must be special-ordered, we have it shipped to us the next day. Contact us in New Braunfels, Texas, to schedule an appointment for our appliance repair services.